மக்கள் சட்டம்: போலி மருத்துவர்களை உருவாக்க முனையும் தஞ்சை தமிழ் பல்கலைக்கழகத்திற்கு எதிராக வழக்கு! 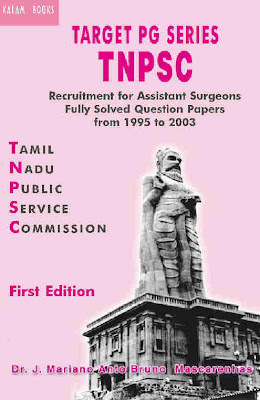 CHENNAI: The Madras High Court has directed the State Government to forward to the Tamil Nadu Public Service Commission, proposals relating to Assistant Surgeon (General) vacancies arising from non-joining of selected candidates. Justice K. Chandru was passing orders on a batch of petitions filed by 15 doctors, who stated that the Government had granted “unlawful” extension of joining time to 215 candidates, who had failed to join within 30 days, as originally stipulated. While admitting the petitions, the Judge had restrained the Health Department from allowing any of these 215 candidates to join duty. They also pointed out that applications of 2,700 candidates were rejected because they had not given a declaration that they would join duty within 30 days from the date of receipt of appointment orders. They submitted that the extension of joining time was given to the 215 candidates by unlawfully relaxing Rule 21(a) of the Special Rules for Tamil Nadu Medical Service. They said the vacant posts were kept idle contrary to the conditions prescribed in the notification. Prevailing conditions in the State warranted immediate appointment of doctors, they claimed. In its counter-affidavit, the TNPSC said it had requested the Director of Public Health and Preventive Medicine to send an elaborate proposal with the details of candidates who had not reported for duty. This was necessary for the Commission to allot candidates from the Reserve List, it said, adding no reply was received from the official. Mr. Justice Chandru said strict implementation of the clause relating to joining time by the Commission and the Government would create more vacancies, and might benefit the petitioners. He then directed the Director of Public Health and Preventive Medicine to forward the proposals, as required by the TNPSC, within four weeks from the date of receipt of the order.